Everyone’s invited! The annual Mid-Summer Moonlight Prowl is scheduled for Friday, July 31st at 8 p.m. Not only is it – appropriately – the night of a full moon, it’ll be the second full moon in July, which makes it a blue moon. 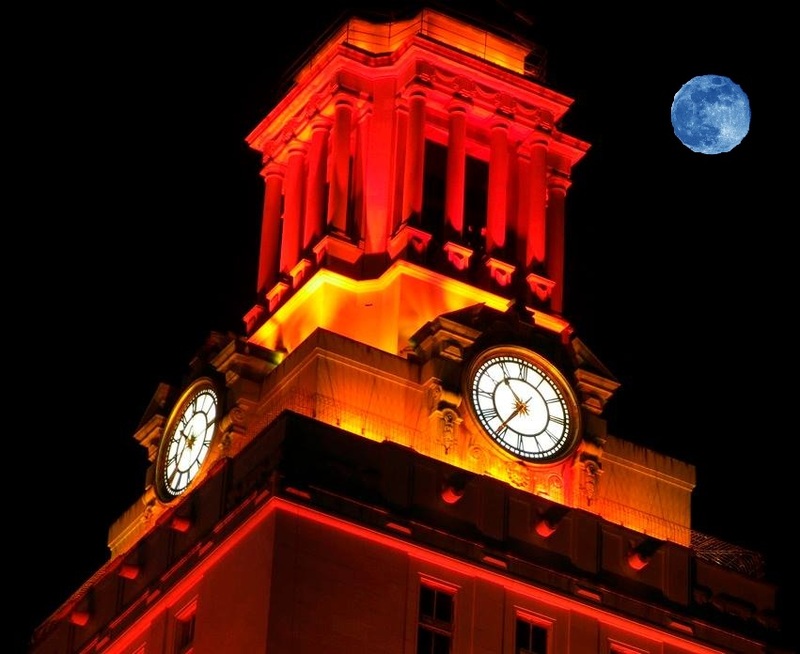 The “Blue Moon Prowl” will begin on the Main Mall in front of the UT Tower. 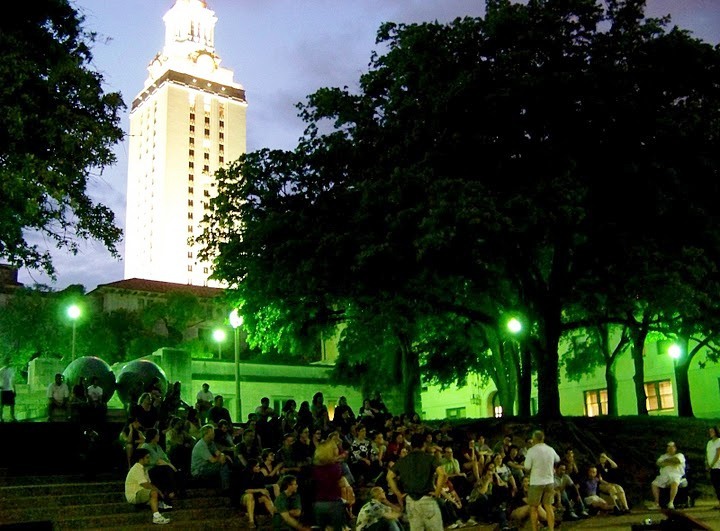 First conducted in 1988, the Moonlight Prowl is a nighttime walking tour packed with anecdotes of student life, campus architecture, and UT history. With content drawn from newspaper accounts, memoirs, and the UT archives, the Prowl is intended to help personalize the University, explore its history, and have some fun. RSVPs aren’t required, but appreciated. You can send me a quick email through the Contact link here, or RSVP via the Facebook event posted here. For all the details and answers to common questions, see the Moonlight Prowl info page. Hope to see you on July 31st!